Traditionally, the Lunar New Year Holidays carry a special meaning for most Korean people. It was a time for eating to their heart's content, and spending time with loved ones and family members. 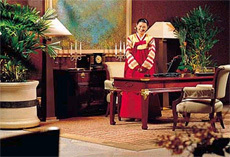 In the spirit of these customs major hotels in Seoul offer special cuisine on New Year's Day, including Korean and Japanese delicacies of yore. Westin-Chosun Hotel downtown Seoul is offering "seol" or Lunar New Year's Day food from both Korea and Japan. In the Korean restaurant "Sheobul" people can enjoy the top-priced jorangi rice cake soup, indigenous to North Korea's Gaeseong region. The unique North Korean rice cake soup is priced at 420,000 won per bowl. The Japanese-style restaurant "Sushi-cho"(02-317-0373) is offering "Osechi Cuisine" made from various sushi, Japan's version of raw fish. Prices are set between 60,000 and 80,000 won per dish. JW-Marriott Hotel near the Gangnam Express Bus Terminal is presenting a wine event during the month of January at its JW's Grill(02-6282-6759), Italian restaurant "Di Moda(02-6282-6762)," and Deli Shop(02-6282-6738). Twelve different kinds of red and white wines will be served in the special wine promotion event. "Duckhorn Cabernet Sauvignon," "Joseph Phelps Vineyards, Le Mistral," and "Chateau Souverain Chardonnay" are included. Prices per bottle range from 14,000 all the way up to 130,000 won. Tax and service charges are not included. In particular, JW's Grill(02-6282-6759) will have a very special menu called "Romantic Menu," for couples during the month of February. 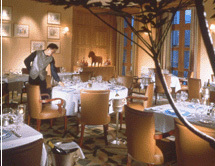 It will be prepared by Edward M. Munter, head chef of the hotel. Japanese restaurant "Mitsumomo" (02-2287-8888) of the Grand Hilton Seoul in Hongeun-dong offers the essence of traditional Japanese "Kaiseki" cuisine the entire month of January. The 10-course meal is made up of appetizer, sushi (raw fish), roasted fish, fried fish, etc., along with a warm glass of refined rice wine. Prices are 98,000 won per head. Seoul Plaza Hotel(02-310-7526) across from the Seoul City Administration is selling a "Honey Honey Package" comprising one night semi-suite room, two VIP tickets to musical "Mamma Mia," breakfast meal for a couple, and a basket of fruits. Five tickets for free accommodations at condominiums in Jeju Island, Seorak Mountain, or Haewoondae Beach, and two free meal tickets for the hotel buffet will be available for the lucky people to be chosen from those who make reservations. Prices for the special package are set at 450,000 won per couple. Millennium Hilton Seoul by Namsan Mountain is currently operating a fortune-teller's house in its buffet restaurant "Orangjerie. "(02-317-3143) Customers can enjoy a buffet meal at 43,000 won for adults and 26,000 won for children and a fortune-telling service at 10,000 won. The service continues until the end of February. The buffet-style "Oyster Festival" is also going on at the hotel's Californian restaurant "Cilantro. 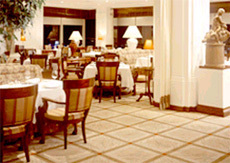 "(02-317-3062) A wide selection of 20 different oyster dishes are served during lunch and dinner. Prices are 35,000 won for adults and 21,000 won for kids. The oyster buffet runs through February. Grand Intercontinental Seoul (02-559-7603) is serving various traditional hanbang tea at its lobby lounge during January and February. Priced at 15,000 won the traditional herbal tea is considered very helpful for health particularly during winter. Hanbang literally means oriental medicine. Hotel Shilla Seoul's lunch buffet is served at its French restaurant "La Continental"
(02-2230-3369) on its 23 floor, which commands a majestic view of Namsan Mountain. On the menu are pan-fried turbot with ratatuille and black olives served with linguine, grilled mero on valsamic onion with vegetables, and grilled rib eye steak and vegetables with red wine sauce. 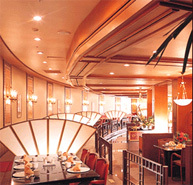 The 35,000 won buffet is available between noon and 2 p.m. everyday except for Sunday. Lotte Hotel Seoul (02-759-7311) in downtown's Sogong-dong is offering a package program of musical and hotel accommodations at 240,000 won. Included are a "Deluxe room" ticket and two tickets for "Lunatic," musical comedy at Munhwa Ilbo's music hall. A breakfast, wine, sauna and swimming pool services will also be included in the package. Park Jin-Hee, who majored in Political Science & Diplomacy at Konkuk University, serves as a staff reporter for The Seoul Times. She covers foreign communities including USFK (United States Forces Korea) and foreign embassies in Seoul.